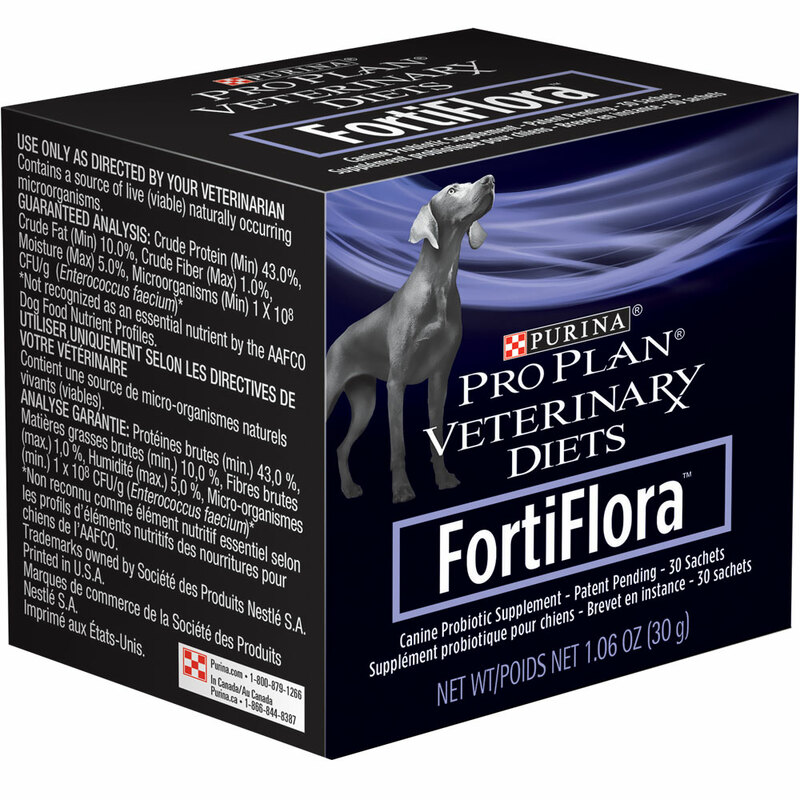 You are here: Home / Informative / What are the benefits of probiotics for dogs? We all want the best for our pets, and if you’re like us, you might think that prevention is the best kind of medicine. Also, while there’s plenty of health discussion around avoiding wheat for your dogs, maintaining great dental health, and even switching out top pet food brands for chow with healthier ingredients, there aren’t a lot of people discussing probiotics for your dog. In this article, you’ll learn all about these wondrous bacteria, and why we think they’re an important daily supplement for your pup’s overall wellbeing. 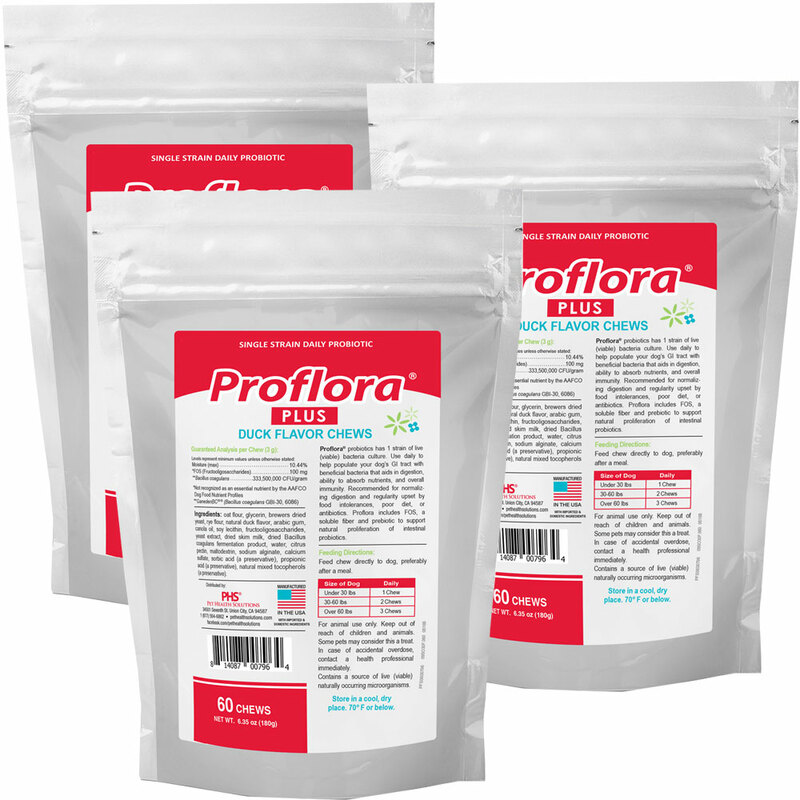 Probiotics are the billions of beneficial microbes found in the gut of all animals. They are the good bacteria that you may have heard about, because they help with human & animal digestion, keeping immune systems strong, and much more that is still being learned by experts today. There is also bad bacteria found in the digestive system as well. Systems in the body may be thrown off by too much of this bad bacteria, which can stem from a poor diet, a virus in the body, taking antibiotics, or other factors. In humans, too much “bad” bacteria means you could gain weight, get sick, become bloated, experience acne, or a myriad of other adverse symptoms. In dogs, the symptoms may be harder to notice, since they can’t communicate exactly what is going on. Some examples of adverse symptoms from a bad balance of bacteria include excessive itching and scratching, foul odor, excessive shedding, loose stool, and ear infections. Probiotics can be found as ingredients in daily multivitamins for long-term health, as well as in supplement form. 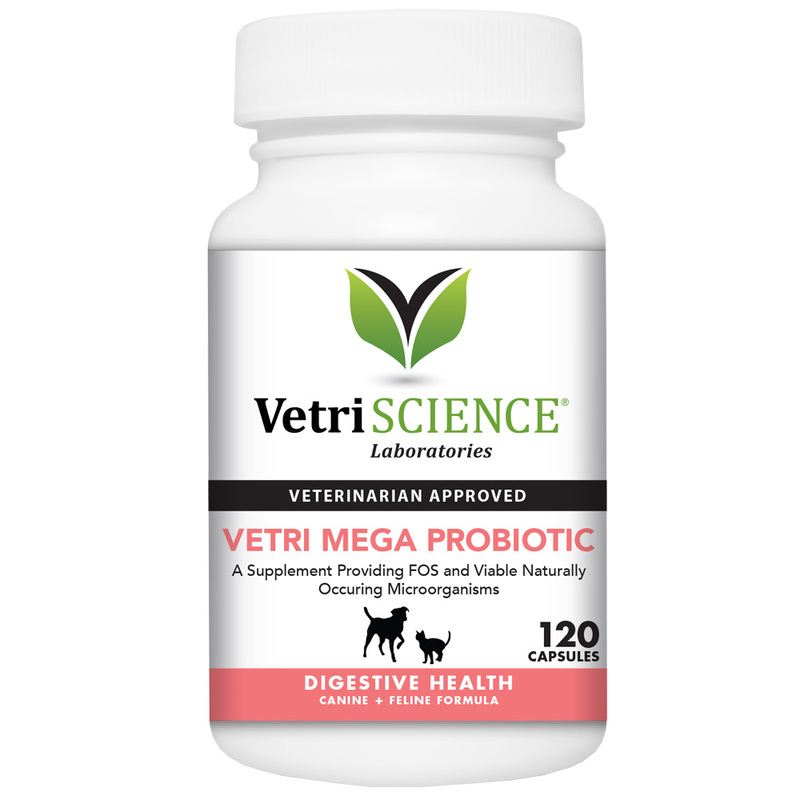 When you give your dog probiotics in a supplement form, it’s typically a combination of “good bacteria” such as lactic acid bacteria (Lactobacillus, Leuconostoc, Pediococcus, Enterococcus, Bifidobacterium) as well as some strains of yeast and mold. By taking them, your dog can regain a healthy balance in their body’s systems, which could eliminate many of the adverse effects described above. There isn’t just one answer to this, and experts have varying opinions. The two different ways to approach giving your dog probiotics are: only on occasion, or regularly to always keep your dog in good health. Those who believe that you should only give your dog probiotics once in a while are treating them as a reactive supplement. In this case, you might want to re-balance your dog’s gut when they’re under stress, or when they’re taking certain medications such as antibiotics. 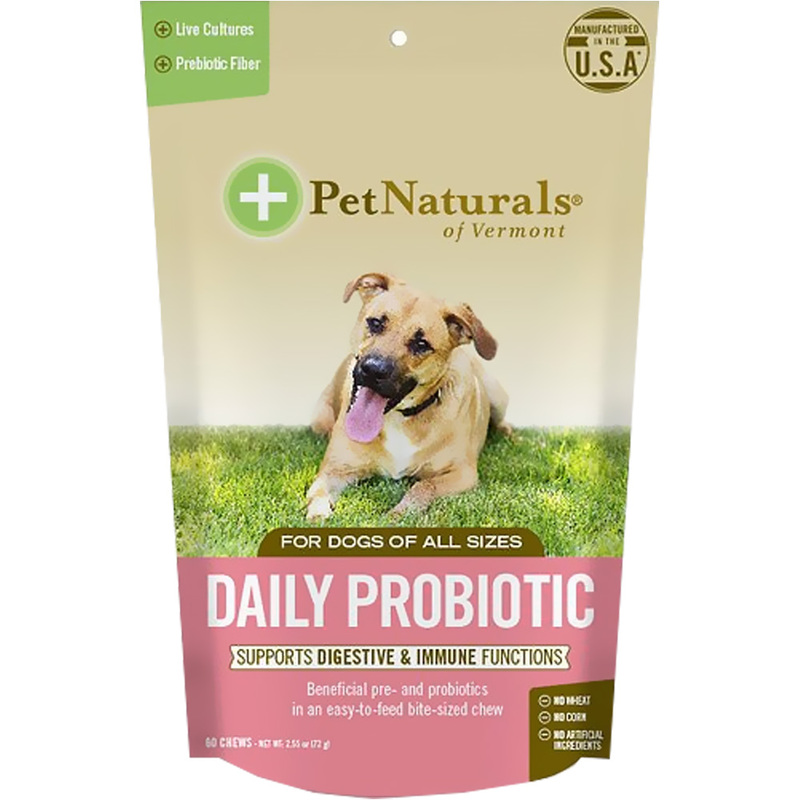 You may also consider a probiotic for any change in their routine (such as the type of food they eat, or if your family moves with your dog). As highly sensitive creatures, major changes may cause your dog anxiety or other unwanted bodily stress. To start, probiotics are simply crucial for your dog’s gut. But did you know they also have an incredible number of benefits for other organs and systems in the body? Other benefits include support for brain health, immune system support, and help in the mouth, pharynx, liver, spleen, gallbladder, pancreas, and even more! While they may not be as dire as a medication, almost any dog can gain from the benefits of probiotics. From the mouth all the way out the back door, probiotics are necessary for the health of the entire digestive tract. In the mouth, good bacteria exist to help combat viruses and bad bacteria from getting further into the body. Probiotics continue to exist through the pharynx to avoid pharyngitis, and down to the stomach where minerals are absorbed and continue to aide many other organs as well. Some of the greatest benefits of probiotics occur in the colon. Here, they can limit the production of procancerogenic enzymes, and generally prevent the growth of other bad bacteria in the large intestine, so that your dog’s body can spend its energy to absorb vitamins and minerals. By maintaining a healthy amount of good bacteria in the gut, pathogens are kept in check in the body. Probiotics also reduce inflammation in the body, which could mean the prevention of many diseases. You might find that if your dog doesn’t have enough probiotics in their diet, they may be more likely to experience diarrhea. A probiotic supplement can eradicate their symptoms. You can learn more about treating diarrhea with both dogs and cats here. Here’s where probiotics start getting more exciting (and mystifying). While scientists are still studying to fully understand, research shows that gut bacteria influences your brain health. This partnership is referred to as the gut-brain axis. The relationship exists because biochemical signals are sent through the central nervous system, from the gut, up to the brain. Now to make things even more intriguing, consider this: some scientists believe that while your body is made up of 30 trillion human cells, it is also made up of 40 trillion bacterial cells. That means that bacterial cells in the body outnumber the human cells in the body! So while experts are still learning about the relationship between the gut bacteria and the brain, it’s important to take away this: bacteria makes up a large portion of your body and thus should be treated as an important factor in overall wellness. Should I have a probiotic diet for my dog or use supplements? The evidence is overwhelming: the appropriate balance of probiotics are essential for the overall wellbeing of your dog. Between the immune system, digestive tract, and even the brain, there is so much reason to consistently provide probiotics into your dog’s diet, whether in their food, or as an additional supplement, but you’ll have to consider what really works best. Probiotics can be found in food such as fermented vegetables and certain dairy products, which you can try to introduce to your pup and see how they feel. However, a dog supplement in the form of a tasty treat will be specifically formulated for a dog’s probiotic absorption, making it more appealing for your dog to eat. It may also be more potent, and less likely to upset your dog’s stomach than dairy and fermented veggies. There shouldn’t be a major difference with human probiotics that would make them inedible or toxic to dogs. The true difference, however, may be in the dosage and the form in which it’s taken. Dog probiotics might be more appealing to dogs if it is in the form of a chewy treat, rather than in pill form. This would make administering it to your pup much easier. Additionally, human probiotics may not be the correct dose for dogs, who are generally smaller in size. Of course, we don’t recommend a human taking a dog’s probiotic supplement, as ingredient standards may be lower for a pet supplement than a human’s. There are some side effects that probiotics are associated with, particularly if your dog receives too much. These include diarrhea, constipation, or excess gas. Remember, probiotics are all about a balanced gut. It is best to follow daily feeding recommendations from the supplement label, or your dog’s vet in order to avoid these adverse symptoms. We all know that it’s a little tricky to fully understand the health of your pup. When they can’t communicate their issues with you, you have to look extra close at their symptoms to know what they’ll need. That’s why being proactive, and giving them a preventative diet is the best idea for your pet. Luckily, probiotics are an all-around amazing supplement to incorporate into your dog’s diet that to prevent many of the issues that dogs commonly face, leading to a happier and healthier pup.